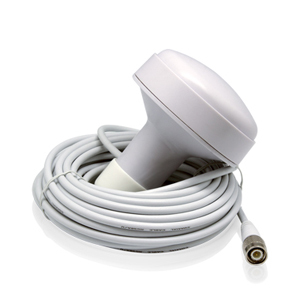 ANT-21 is a maritime GPS antenna designed for the tough marine environment. This antenna enables the required GPS function for AIS systems, chartplotters, and other navigational devices. Many AMEC devices are GPS ready, simply connect this GPS antenna to see your vessel location, speed, and other information.